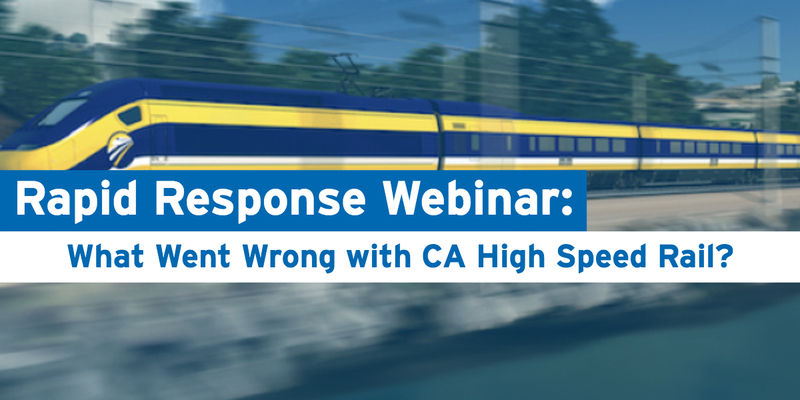 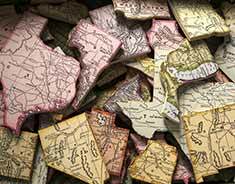 Rapid-Response Webinar: What Went Wrong with California High-Speed Rail? 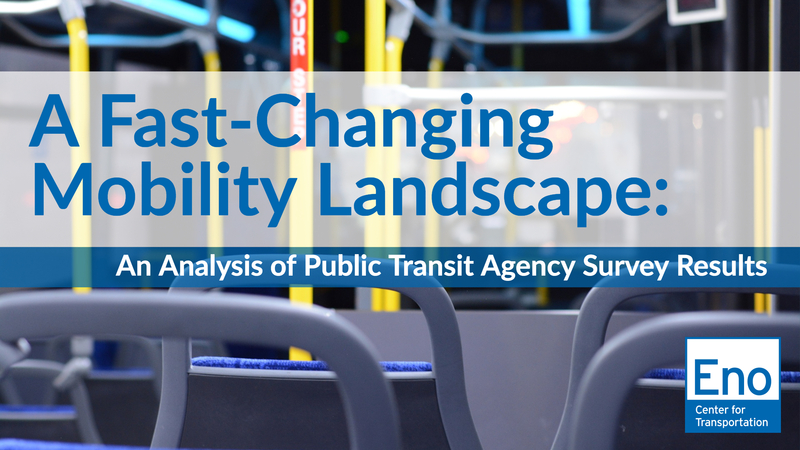 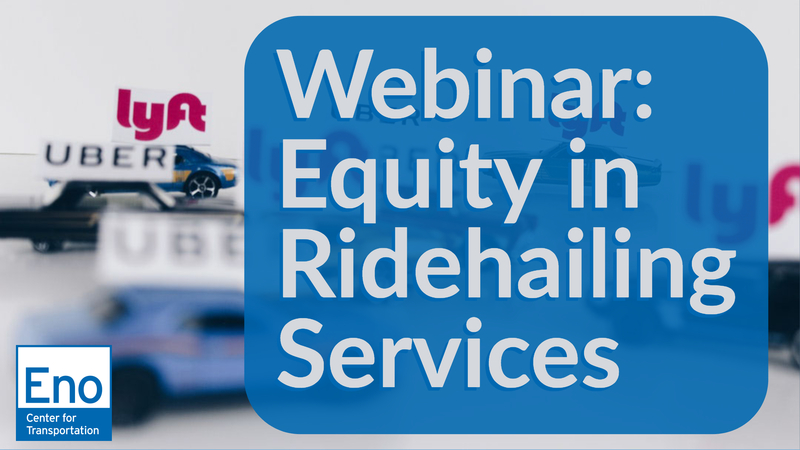 Join Eno for a webinar to learn about the growth of new mobility services in the U.S., and the ways that cities are now accessing new data about the safety, equity, and efficiency of transportation in our cities. 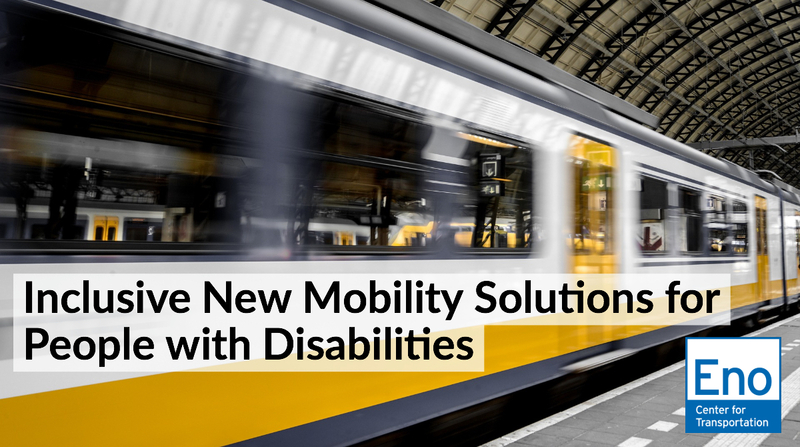 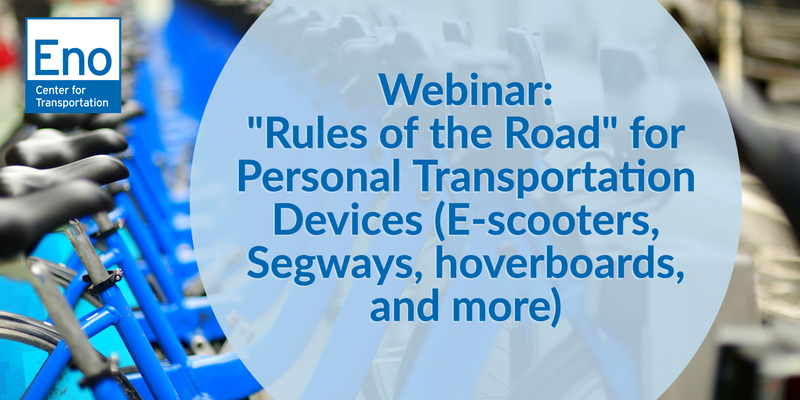 Join us on Tuesday, Nov. 27 for a webinar to learn how to ensure inclusive mobility options for individuals with disabilities, including specific public and private sector examples of innovations that facilitate inclusive mobility. 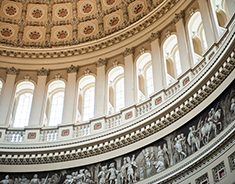 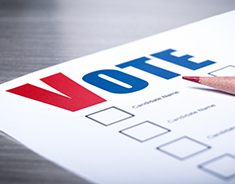 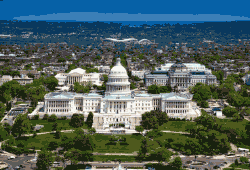 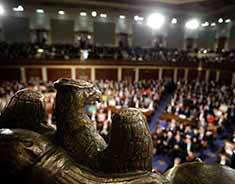 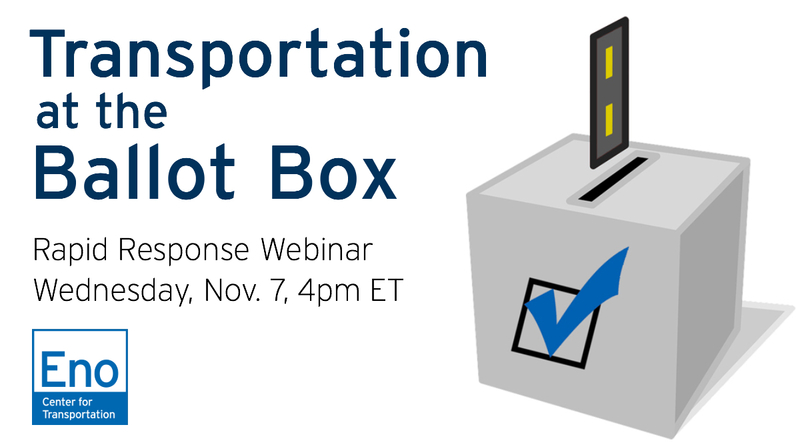 Eno held a webinar to present our initial findings on the election results, including which key ballot measures passed and failed and what the makeup of the next Congress could mean for key committee leadership positions and the possibility of an infrastructure bill. 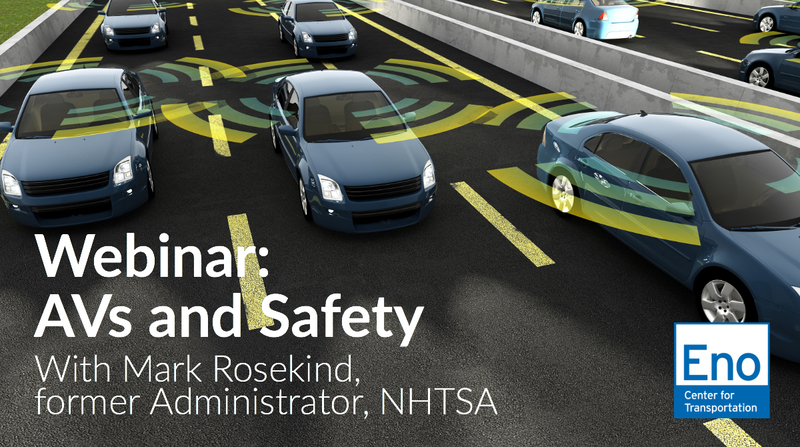 Join us on Wednesday, Oct. 24 for a webinar to learn about the safety provisions in AV 3.0 and hear from Mark Rosekind, former NHTSA administrator. 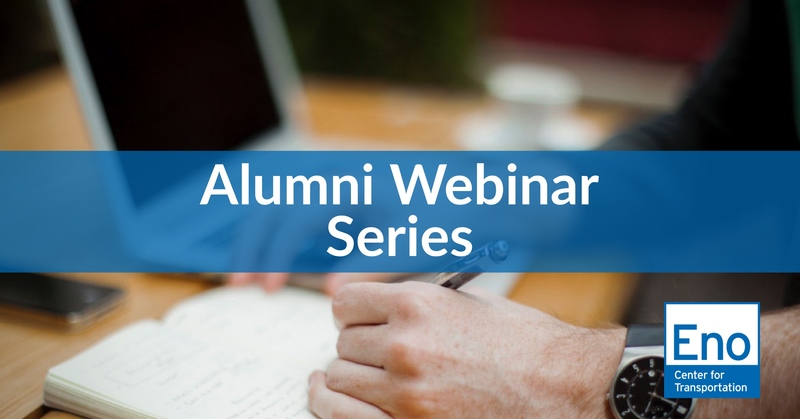 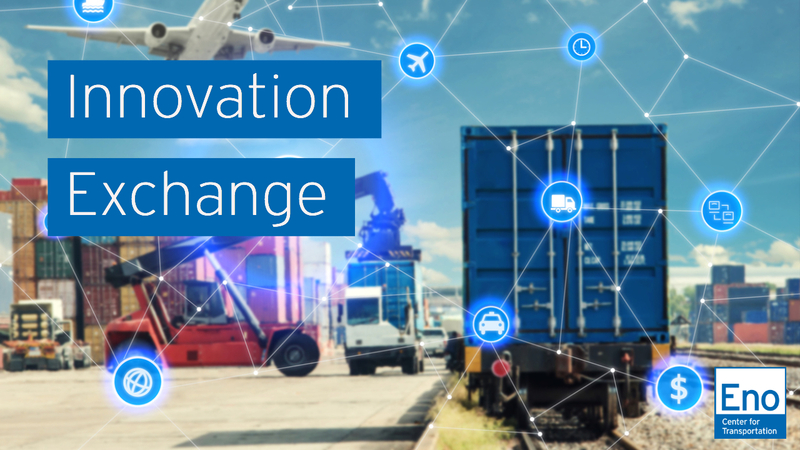 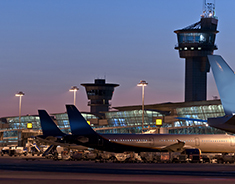 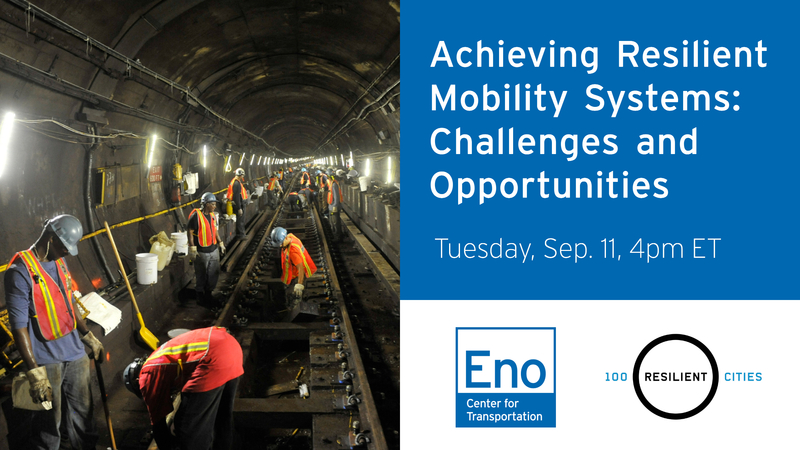 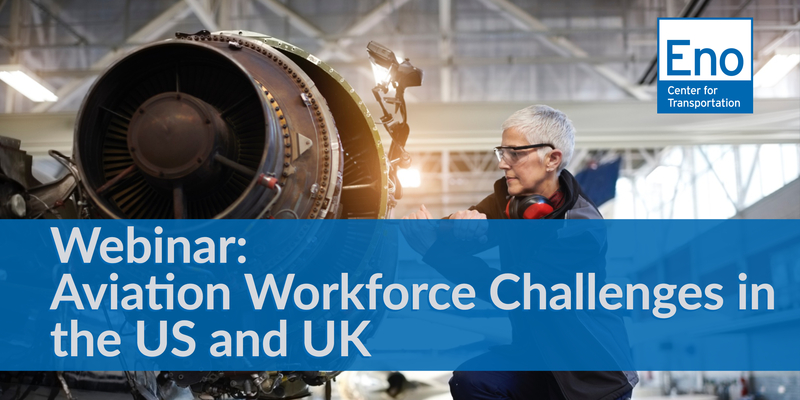 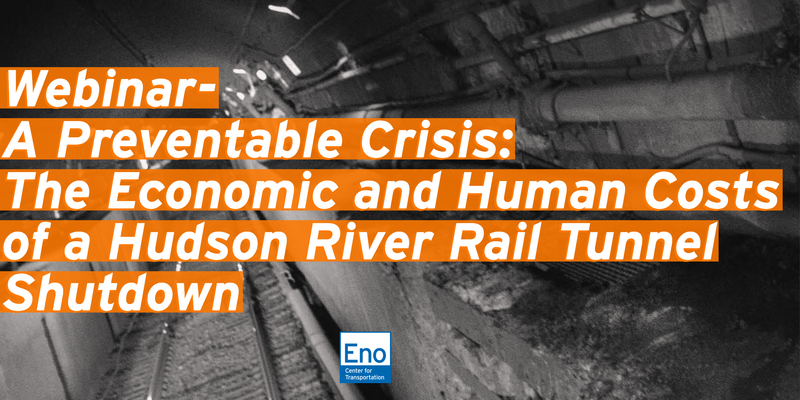 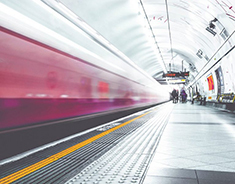 Join us on Tuesday, Sep. 11 for a webinar to learn about the challenges and opportunities associated with the transportation sector becoming more resilient. 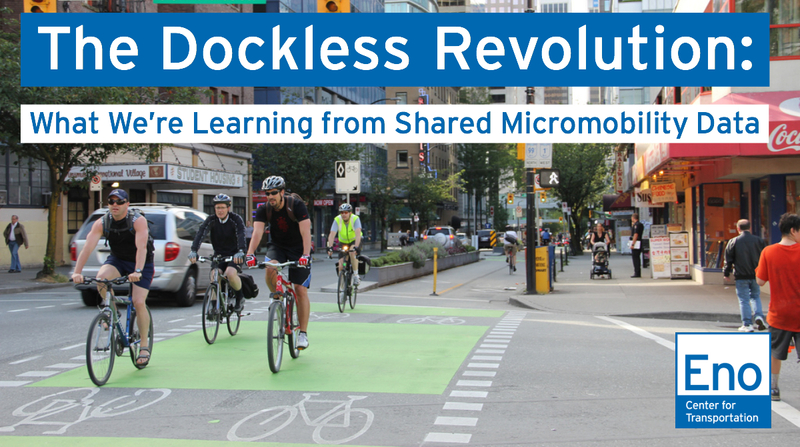 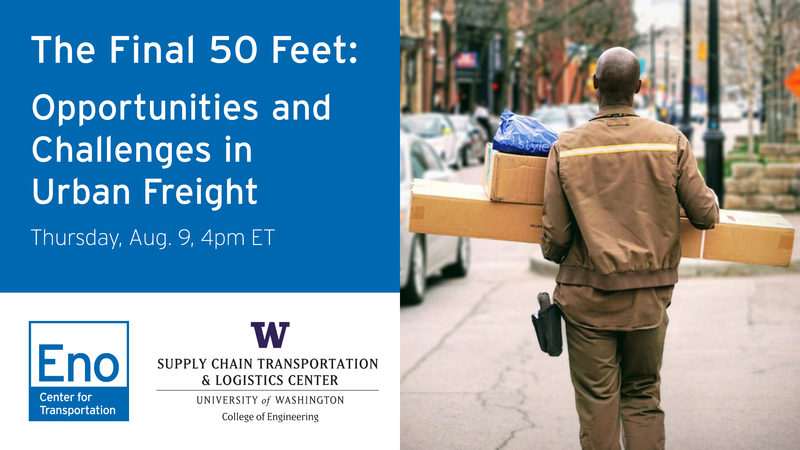 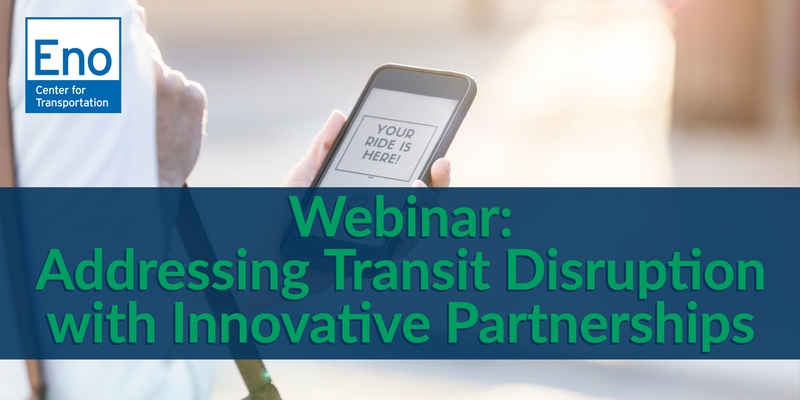 Join us on Thursday, August 9 for a webinar to learn about the innovations that can reduce a carrier’s dwell time at each stop and potentially solve the challenge of the Final 50 Feet. 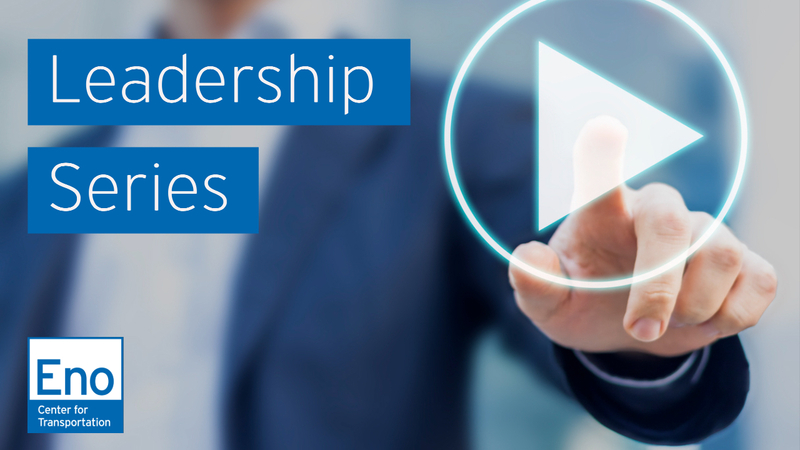 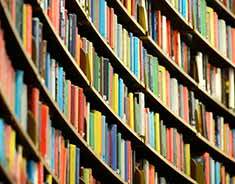 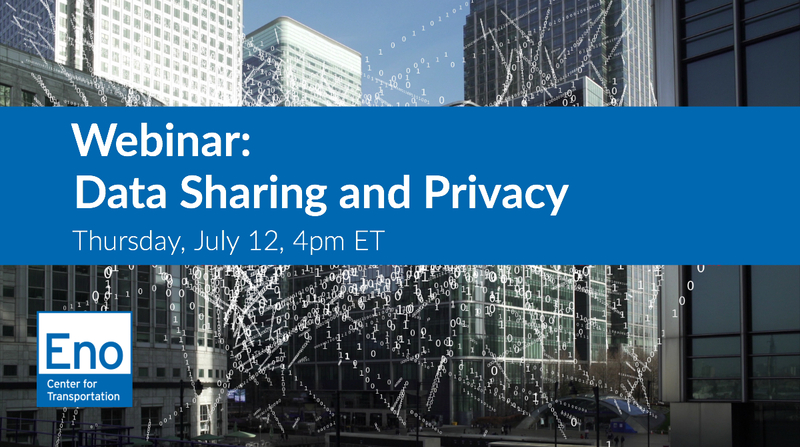 Join us on July 12 at 4pm ET for a webinar to learn about how data management and sharing can work while protecting privacy and allowing for research and data-driven decision making. 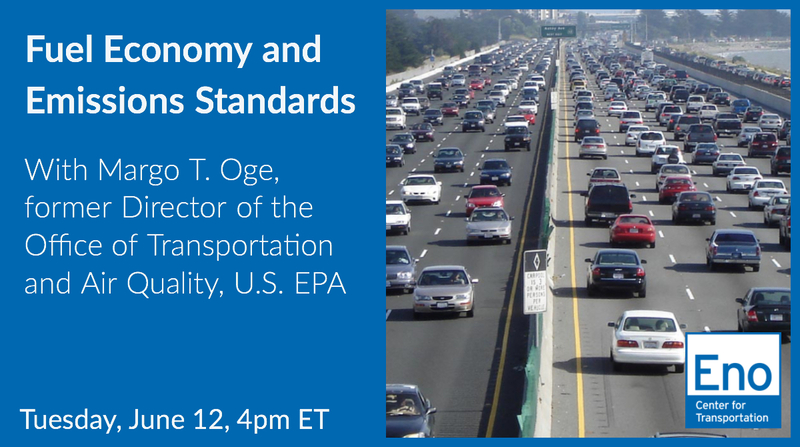 Join us for a webinar to learn about the corporate average fuel economy (CAFE) and greenhouse gas (GHG) emissions standards for cars and light trucks now under revision by the Trump Administration.